Captured along the Gunflint Trail in Cook County, MN, this picturesque scene is a great reason to get up for sunrise. 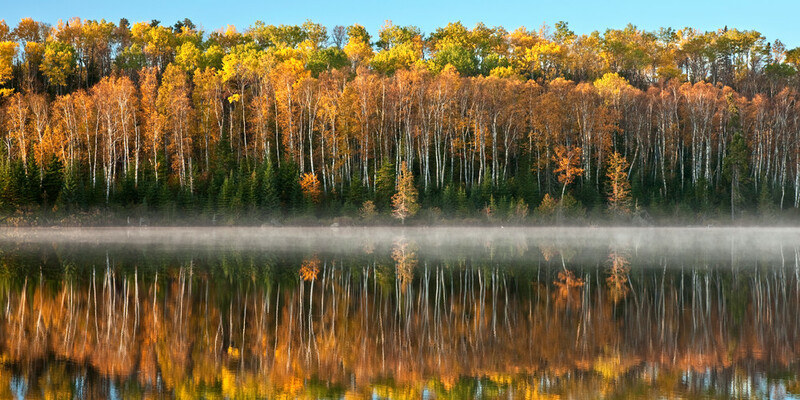 Aspen and Birch at peak color, reflected in a glass calm lake is a scene only possible for a few days each year. The cool morning air and warmer lake water created a subtle fog over the lake’s surface.